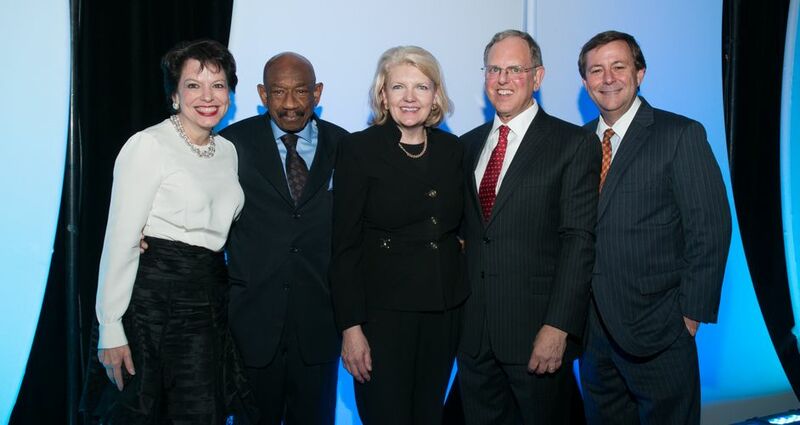 Atlanta Convention & Visitors Bureau (ACVB) gathered with Atlanta’s hospitality leaders Tuesday, Nov. 13 for the 15th Annual Atlanta Hospitality Hall of Fame. The reception honored individuals who have made outstanding contributions to the growth and well-being of Atlanta’s hospitality industry. Comedic quips by emcee and Laughing Skull Founder Marshall Chiles set a jovial tone for the evening. “To be here at the Atlanta Hospitality Hall of Fame is exciting. It’s kind of like being at the Rock and Roll Hall of fame, but with less hairspray,” joked Chiles. Member of the Year and Volunteer of the Year were also awarded to executive vice president Richard and his Atlanta-based team at Shepard Exposition Services, and Pam Kruseck, Manager of Group Sales and Tourism, Atlanta Symphony Orchestra, respectively.